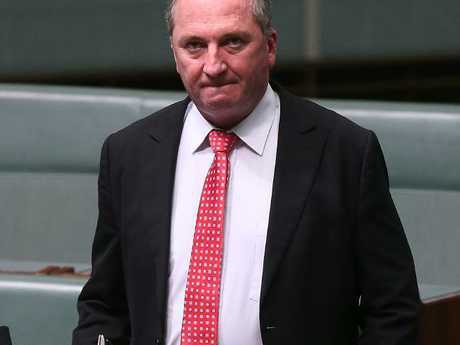 NATIONALS were warned to expect an "avalanche of allegations" against Barnaby Joyce ahead of his resignation, with MPs told that 10 women had complained about the former Deputy Prime Minister's behaviour. The complaints ranged from inappropriate behaviour to more serious allegations, according to documents obtained by Fairfax Media. The warning from WA Nationals leader Terry Redman prompted some MPs to consider asking for an inquiry - until Mr Joyce was forced to resign when Catherine Marriott's complaint emerged just days later. Ms Marriott said yesterday she was "disappointed" the investigation into her complaint, which Mr Joyce denies, was being used for political advantage. She said she had asked the WA Nationals for advice before going to the federal party with a confidential complaint, which was then leaked to the media. "I am disappointed if my complaint along with my efforts to have this confidentially investigated are being used for political advantage and my integrity as a result, questioned," Ms Marriott said in a statement on Wednesday. The documents are part of a review by the WA Nationals into how Ms Marriott's identity was leaked to media. They reveal a series of phone calls between Mr Joyce, party officials and MPs. On February 17, WA Nationals state president James Haywood said Mr Redman told him by phone to expect a wave of allegations against the Deputy PM from a group of regional women. "Terry told me there would be an avalanche of allegations made from this group against Barnaby and that there were as many as 10 complaints which ranged from inappropriate behaviour to more serious allegations," Mr Haywood wrote. He also questioned a statement by Mr Redman that he would stand by the women, adding that politicians "should not be taking sides in what is a potential legal matter". 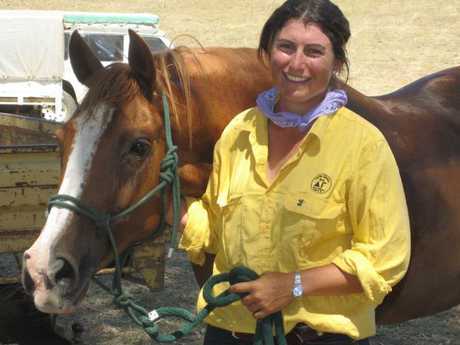 The review questioned the actions of WA Nationals leader Mia Davies, who has come in for heavy criticism over her handling of the matter. Mr Hayward told Perth Now Ms Davies' public call for Mr Joyce's resignation was "at best unfortunate and at worst opportunistic". Catherine Marriott has criticised the party’s handling of her allegation about the former Deputy Prime Minister. But other MPs told the ABC that there was no threat to her leadership, and such claims were "absolute rubbish". Ms Marriott has insisted she had no political motivation for speaking out about the alleged incident outside a Canberra hotel and the WA Nationals were not behind her decision to come forward. "I never wanted this issue made public," she said. "I specifically requested a private and confidential investigation. "My complaint was made to the National party in a manner that was meant to protect the privacy of the person involved and I was assured confidentiality." The review found the backgrounding of "political operatives" interfered with due process and ultimately led to the naming of the alleged victim. 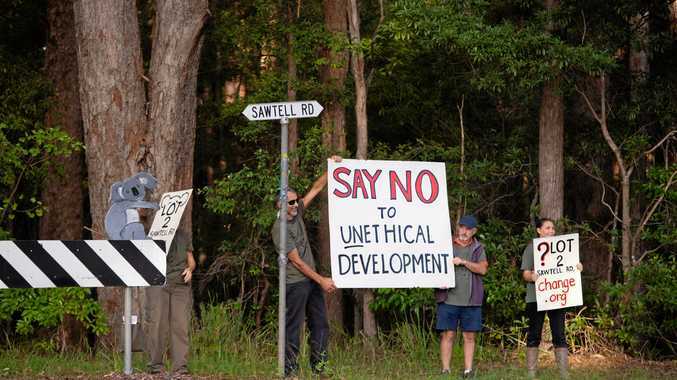 "It is clear that the actions of the (WA parliamentary) members dealing with this matter further compromised the party and the victim," the review by WA Nationals state director Simon Glassop said. 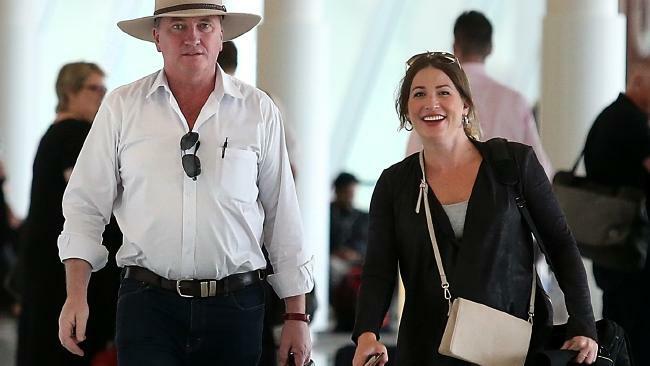 Mr Joyce cited Ms Marriott's allegation as the final straw that led him to resign after 16 days of scandal over his affair with his now-pregnant former staffer Vikki Campion. Ms Marriott said she hired to lawyer to make sure the complaint was dealt with professionally, and then a media adviser after her name was leaked and she was inundated with calls. "This complaint was made not only to address the incident against me - it was about speaking up against inappropriate behaviour by people in powerful positions," she said. "Suggestions to the contrary are hurtful, incorrect and the very reason why I hesitated to come forward at the time of the incident."